임상시험 후 원고를 준비하는 법부터, 임상 시험 등록하기, 윤리 의원회 승인 받기, 모든 실험참여자에게 서면 동의서 받기, 마지막으로 연구 프로토콜을 작성하는 법까지 알아보겠습니다. 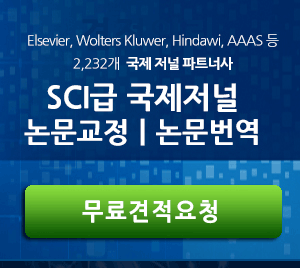 <h2>임상시험(Clinical trials) 가이드 part 2</h2><br><p style="text-align: justify;">임상시험 후 원고를 준비하는 법부터, 임상 시험 등록하기, 윤리 의원회 승인 받기, 모든 실험참여자에게 서면 동의서 받기, 마지막으로 연구 프로토콜을 작성하는 법까지 알아보겠습니다. </p><p style="text-align: justify;"><strong>참고할 만 한 글 : </strong></p><p style="margin:0cm 0cm 8pt; text-align:justify"><span style="font-size:10pt"><span style="line-height:107%"><span style="font-family:&quot;맑은 고딕&quot;"><a href="https://www.editage.co.kr/insights/a-guide-to-understanding-clinical-trials-part-1-the-basics" style="color:#0563c1; text-decoration:underline">임상시험(Clinical trials) 가이드 part 1</a></span></span></span></p><p style="text-align: justify;"> </p></br><br><a href="https://www.editage.co.kr/insights/things-to-remember-when-working-on-a-clinical-trial">임상시험(Clinical trials) 가이드 part 2</a>는 <a href="https://www.editage.co.kr/insights/">에디티지 인사이트</a>에서 제공되었습니다. 임상 시험을 미리 등록하지 못한 경우 어떻게 해야 하나요?